To access these databases from home, please enter your 13-digit library card number (no spaces) when prompted. Company profiles, histories and detailed industry information. Select “U.S. Business” from the drop down menu for detailed business information. Select “U.S. Residential” to conduct market research or locate friends and relatives. SCORE is a nonprofit association dedicated to helping small businesses get off the ground, grow and achieve their goals through education and mentorship. NEW! Find free L.A. County resources for financial planning, free income tax assistance, credit repair/building and more. 1. How do I find information on a business? ReferenceUSA (see above) is the best source for information on over 14 million U.S. companies. The Quick Search feature allows you to search by company name or telephone number. 2. How do I find a list of businesses that fit specific criteria? Reference USA (see above) lets you search businesses throughout the U.S. The Custom Search feature lets you mix and match over 30 different search criteria to create the type of list you want. 3. Where can I find the price of a stock from a specific day? BigCharts and Yahoo! Finance provide historical prices for most stocks. The Business Resource Center at the Norwalk Library has the Daily Stock Price Record, which lists stock prices for most U.S. companies from 1974-2001. 4. How do I find out if my bank deposits are safe? You can check the safety or your bank deposit at www.fdic.gov. TheStreet and BankRate give letter-grade ratings for banks throughout the U.S.
5. How do I get a free copy of my credit report? Annual Credit Report is the official website to get a free credit report from the three nationwide consumer reporting companies. You can get all three reports at once or spread them out throughout the year. 6. Where can I get information about starting my own business? The Small Business Administration provides a Small Business Planner with information on writing a business plan, financing, licenses and permits, managing a business and even getting out of business. SCORE is a nonprofit association dedicated to helping small businesses get off the ground, grow and achieve their goals through education and mentorship. Contact the Clifton M. Brakensiek Library at 562.925.5543 to reserve the room. If there are no reservations, the room is available on a first-come, first-served basis. All users are restricted to two hours per day. The room is only available during the library’s open hours. The Norwalk Library has an extensive business collection of reference books, journals and trade magazines. Materials in the business collection must be used in the Library. 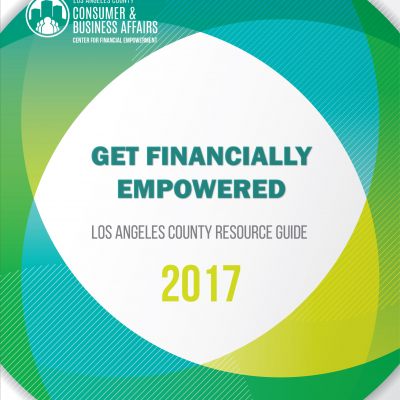 Provides access to safe and affordable financial products and services in partnership with Los Angeles County Consumer & Business Affairs.